Entertainer and icon Cam Newton was once again asked to present at the NFL Honors Award Show held annually before the Super Bowl. In 2011, it was Katy Perry. Last year, it swimsuit model Chrissy Teigen. This year the lady fortunate enough to share a stage with the Blessed Individual was model, and 2011 S.I. Swimsuit Issue cover girl Brooklyn Decker. 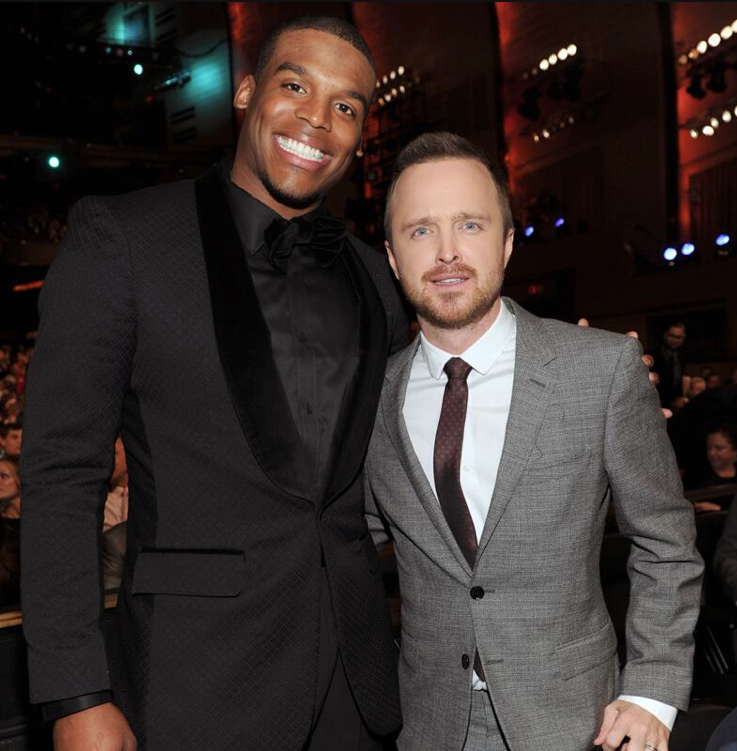 A little later, Cam was spotted with Breaking Bad star Aaron Paul. Oh hey, just found some more Cam ‘n’ Katy photos. Added them. Related: Cam Newton gives a Super Bowl weekend ‘War Eagle’.